If you’re really curious about our refacing process this video series goes well beyond the basics. Below are a series of educational cabinet refacing videos produced by our partners at Cabinet Cures. They do a great job of demonstrating the cabinet refacing process and what makes Cabinet Cures so unique. Each video is only 1 to 2 minutes long so you can enjoy a few at once. If you have any questions about what you learn in these video or would like to schedule a consultation please give a a call. What your kitchen looks like before the magic happens! Our doors are made by Brentwood Corporation, a high quality door manufacturer in Oregon. 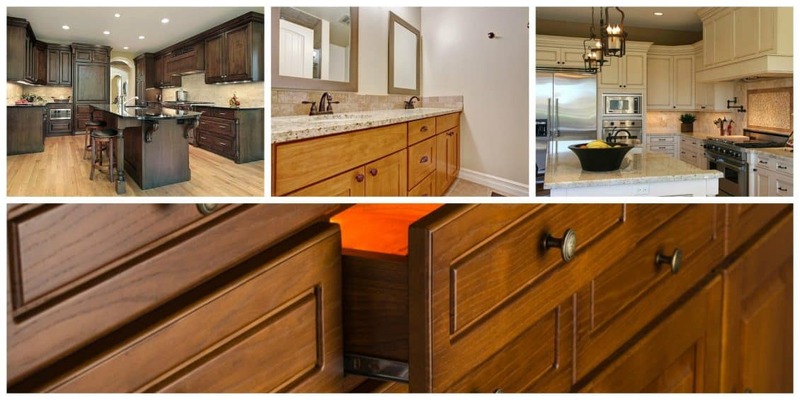 Brentwoods makes custom doors and drawers for many high end cabinet companies. In this video Kelly walks you through a typical door delivery for a refacing project. At about 1:35 you’ll see the door take a bit of bump while being rolled off the lift. That’s why each door is carefully wrapped in foam before they are placed on the cart! In this video Kelly Koch, owner of Cabinet Cures, shows off some cabinet doors that are fresh from finishing and ready to ship. This short video demonstrates the proprietary cabinet cures finishing process that makes our doors and drawers so beautiful and long lasting.